Three Six Six is a cocktail bar in Battersea that prides itself on offering hand crafted and innovative drinks. With DJs three nights a week, Three Six Six has a lively atmosphere. 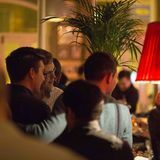 "The St John's Hill outpost of Three Six Six is located in the heart of bustling Battersea, within easy walking distance of Clapham Junction station. 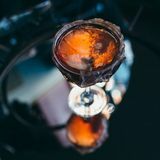 As well as the venue's sister site in Earlsfield, the bar has won a catalogue of accolades for it's innovative and exuberant cocktails, and this award-winning mentality shines through for all to see at this lively South West London nightspot. 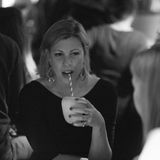 Guests can expect to encounter a long list of original and hand-crafted cocktails. Three Six Six chooses it's network of spirits based exclusively on taste as opposed to reputation, and has a forward-thinking approach to cocktail making. Using truly unique ingredients - think parmesan, parma ham, beetroot shrub and even alfalfa sprouts - Three Six Six whips up a whole host of interesting concoctions that will have you coming back time and time again. 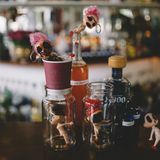 And as if these outlandish cocktails weren't quirky enough - they're served in anything from glasses covered in brown paper, science beakers and 50's sugar shakers with garnishes including crickets, balsamic pearls and corn on the cob. Three Six Six have a great appreciation for music, they're big fans of house and have regular DJ slots every Thursday, Friday and Saturday to dance to whilst you enjoy your specially made drinks, so kick back and enjoy." What did you think of Three Six Six?